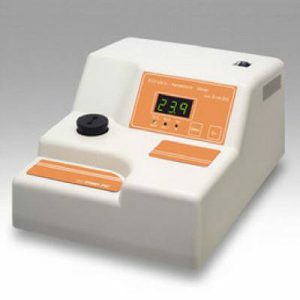 BHT – 205 is low-priced and very suitable for measurement of neonate's total bilirubin. Free from troublesome lamp exchange by applying LED. Data of hemolyzed sample is automatically corrected until under 250 mg/dl. Displey blinks when data of sample is more than 250 mg/dl. Automatic calibration for zero. No blank solution necessary. Hematocrit value is easily measured and displayed by inserting a capillary tube into a holder and then pulling the holder out.